I have to admit I wasn’t too impressed by “Born By The Wind”, the debut demo from Starborn, the Newcastle outfit formed back in 2012. When I heard the preview track, “Triumphant Resolve” from the forthcoming EP “The Dreaming City”, things really changed. I was astonished to hear how much the band had improved. The vocals, the general performance, the songwriting…Pretty much everything was two steps above the demo. A month or so ago, I had the chance to listen carefully to the full EP, and my impressions based on the opening track were strenghtened even further. The UK band has simply delivered a very impressive release, combining the best of European and US metal. I got in touch with guitarist Christopher Foley to get to know all the important facts about this promising newcomer. Tell us about how and why the five of you got together. – We all met through different bands, myself and Dan Alderson (drums) had played together briefly in Plague Rider, although we would often jam on riffs at my house, some of which would later find their way into Starborn songs. At the same time Sean Atkinson (guitars) and Jonny Kelsey (bass) were playing in a thrash band, Black Reach, and we met those guys playing/attending the same shows. Around spring 2012 me, Sean, and Dan struck up the idea of forming a power metal band, and Jonny was our first choice for bassist. We spent the summer writing and rehearsing, later focusing exclusively on writing at the close of the year, and throughout 2013. Bruce Turnbull (vocals) came into the picture around this point. If I recall right, we’d been itching to work together since at least 2007, and we did play in another power metal band, Sacred Illusion throughout 2011. With the exodus of Sacred Illusion, Bruce was kind of burned out from playing in bands, though, he was pretty much the only choice for Starborn. We eventually strong-armed him along to a practice, it was a natural fit, and I think it was about that time we truly became Starborn. It seems you have been able to keep a stable lineup for the first few years of the band’s existence, something which seem quite unusual these days. How important has this been for the progress of the band? – Yeah, between the five of us, we’ve worked with each other over the years, so that working relationship has always been there. I do think it’s important, as most of us were good friends prior to making music, so there’s that degree of trust and honesty between us. Of course, this can make things a little more stressful at times, but that’s part of the fun! – Well, we’re heavily invested in what we do, and it can result in some heated debate between band members. We operate in the way of a democracy, and every decision made is one we take the time to discuss, of course there are times when we may not all be in agreement. This is where things can get a little stressful as we’re all pretty strong individuals. We are on the level for the most important stuff, though. 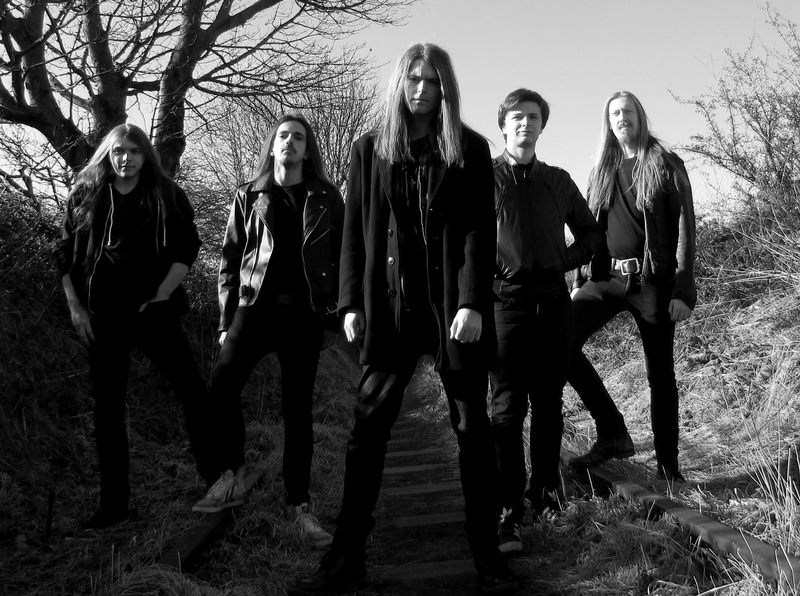 Starborn hails from Newcastle, well known for some excellent metal acts in the past, bands like Raven, Satan and Venom. All three bands are still active, but that’s maybe not because of the culture, clubs and metal fans in your hometown? – I think those bands are pretty popular abroad, which certainly keeps them ticking. I know Dante (Venom’s current drummer) and they’re seriously active on the tour circuit. European and South American countries go wild for it, and they always seem to be playing on killer festival bills, in the UK, it’s like one off shows. 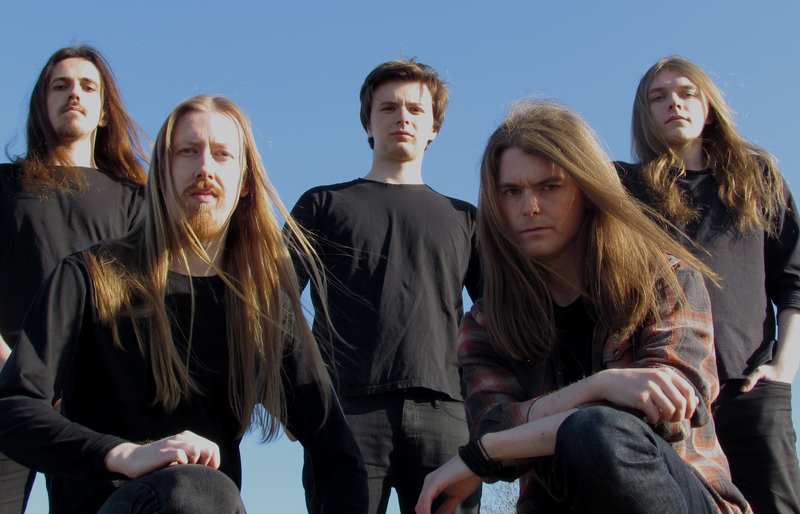 In regards to Newcastle, we have a great underground metal scene, although it does lean further toward the extreme styles of metal, there are plenty of talented young bands doing the rounds, as well as some dedicated promoters. We have a NWOBHM festival in BroFest too, the guys who put it together work really hard in securing bands you wouldn’t expect, some of which released little more than a demo in the late seventies or early eighties. They actually have Satan headlining next year which is nuts, it’s like their first show in Newcastle in 30 years! If my mind serves me right, I first heard of Starborn when the label Swords And Chains looked for a band for an extremely limited cassette release. Tell me how you hooked up with them for the tape edition of “Born By The Wind”? – It came out of the left-field to be honest. We’d had something in the works with another label which didn’t come off, leaving us a little wounded, and then Mike Mendyk swooped in offering the limited cassette release, which really, was absolutely perfect for our first release. It was an easy, straight forward process, and a pleasure. I dig some of the Swords And Chains bands like Visigoth and Eternal Champion, so it was exciting being part of that, especially as a fan. When the offer from Swords And Chains came, I believe “Born By The Wind” had already been released digitally. Did you experience a boost in the interest around the band when the tape was released? Even if it was only 50 copies, at least the label did some small things to promote it. Also, was it important for you to have it on a physical format, even if it was a very limited run? – Yeah, “Born By The Wind” had been out for maybe a month, before we secured the release with Swords And Chains. We had actually done a fair bit of self promotion prior to our relationship with Mike, which certainly helped drum up interest, and once the tape dropped we definitely noticed an increase in interest because of it, and we shifted our copies fairly quick, as did Swords And Chains. It certainly was important to have the release in a physical format. I have my own copy sitting proud on my shelf. At some point you spoke about releasing the “Born By The Wind” on CD as well, but it seems it never materialized. Why was that? – Prior to Swords And Chains we were in the process of working on layouts for a CD release, as well as investigating pressing options available to us. It was going to turn out quite expensive, and we’d already spread ourselves thin paying for the recording and artwork, once Mike got in touch and we secured the cassette release, we opted to leave it to that format. “The Dreaming City” was entering pre-production, and we figured it better to pool our resources into that release, being happy with the physical presence of “Born By The Wind”. Maybe if there’s demand somewhere along the line we could do a CD run. I believe “Born By The Wind” was the first recording experience for at least some of the members. Was it something about the process that surprised you, and did you learn something that you could use on “The Dreaming City”? – Oh massively. Most of us were pretty green going in; it was Dan’s first time recording drums, as mine, Sean, and Jonny’s first time in a studio environment, period. It was only really Bruce who had much experience in his craft. The whole experience was eye-opening, and in every sense of the word. It challenged everything I knew about making music. Certainly a stressful two days to say the least, but also some of the most fun I’d ever had. I love the recording environment, and feel I learned well what to expect from further recording. A lot of which, I put into play recording “The Dreaming City”, particularly so in terms of the guitars. How did it challenge everything you knew about making Music? – I think we went into the studio with a measure of naivety, and I thought it would be an easy process. It wasn’t until we actually got in there, that those notions quickly faded. There’s a big difference between rehearsing the songs, than recording them in their correct tempo and timing. It took a good couple of hours to find the best approach for recording the material before we made any real progress; we half expected to go in and do it live. We certainly learned a lot over those two days, and it was beneficial to how “The Dreaming City” would be recorded. Particularly in terms of guitars and drums, and I do think there is a noticeable difference in the quality of recording between the two releases. The most important thing I took away was how to approach multiple guitar tracking, with “Born By The Wind” there were two rhythm tracks, and two lead tracks, whereas with the “The Dreaming City” we doubled that, and in certain songs we’d add even more tracks for emphasis in certain parts. I hadn’t even considered that approach prior to recording “Born By The Wind”. You had your live debut as late as in September 2014, and as far as I understand, you haven’t done more than a few gigs so far. Do you think it’s possible to develop as a live act when the concerts are so few and far between? – Our style isn’t really that common here in the UK, and we find few opportunities present themselves, although there are some top promoters in our area who have been a massive help to us. We hope with the advent of “The Dreaming City” to get out more, although we are a busy bunch, spread between work, university, other bands, and for Bruce, parenthood. I do think it’s possible to develop despite regularity regarding concerts. We get together for practices often, and are almost always sharpening our skills, ready and waiting for anything around the corner. With a playing time of 34 minutes, I wonder why you didn’t put two extra songs on there to make “The Dreaming City” a full length release? Were these perhaps the only songs you had? – This was a course for considerable debate between us, and we actually very nearly opted to do “The Dreaming City” as an album. The truth of it is that we have a load of songs. Even before we recorded “Born By The Wind” we had more than enough material for a full-length. What we ultimately decided to be best for us, was to set up a recording cycle where we could grow as a band, and ensure our debut full-length could be as strong as possible. It’s figuring out what material will best suit release. The way I look at it, is a lot of our heroes from the eighties had considerable demo periods, and you could really chart the growth. You can see how they would come to release their classic records, and we want to honour that in our own way. “Born By The Wind” was like stepping from the practice room into the recording studio, so four rough and ready songs felt absolutely like right way to start off. With the “The Dreaming City” we wanted to show off our epic side, and widen the playing field in terms of our influence, as well as displaying what the listener can expect from a Starborn record. We hope with the debut full-length, that we can bring it full circle; we want people will see where we’ve come from, and how we got there. None of the songs on “Born ByThe Wind” were rerecorded for “The Dreaming City”. Is this a philosophy you will continue, so we can expect the material on “The Dreaming City” to stay exclusive for this release and not being used on a full length release? – Yeah, for the most part this is something we will continue. It keeps those releases more individual, and special. Those songs are an important part of our canon. Particularly so in regards to “The Dreaming City”, which we hope one day could be seen among our fans as our answer to the “Mercyful Fate” or “Queensrÿche” EP. In saying that, though, we have wrestled with the idea of rerecording the title track from “Born By The Wind” as a b-side for the album. I think it’s one of our signature songs, so that could be pretty cool do, although there’s nothing set in stone at right now. Comparing “Born By The Wind” and “The Dreaming City”, I can hear a clear improvement in the vocal department. Bruce sounds a bit smoother, more secure and natural now I feel. How has he worked to achieve this? – Practice, practice, practice, is the key. Bruce has always been a killer vocalist in my eyes, although he did feel dissatisfied with his performance on “Born By The Wind”. Emotions were riding pretty high during recording; with some personal problems slipping into the studio for certain band members, the result bled through into the recording. I listen back to it now, and I’m sat like “man, we sound really pissed off”. There was no autotune, layering, or any real finesse to the vocal recording on “Born By The Wind”, just pure raw, unadulterated emotion. With “The Dreaming City” Bruce took a lot of time practicing his pitching, as well as developing new ways of delivering the vocal lines. He was really quite brutal on himself, and absolutely sung his heart out when recording. There were times in the studio the rest of the band sat there wide-eyed, just totally floored by the takes. Also the sound is much better, a bit more polished and produced maybe, but not too slick. Is this the way you want a Starborn-record to sound, or are you looking to better things even more with more time/money or experience in the future? – Yeah, we took a hell of a lot longer in all aspects of the recording process. “Born By The Wind” was literally two days recording, and a week or two mixing and mastering. With the “The Dreaming City”, we wanted a bit more clarity and dynamic, whilst maintaining some of that raw edge and energy from “Born By The Wind”. I felt some of the nuances on “Born By The Wind” were lost in the mix somewhat, so we opted to rectify that, which I feel we did. I’d say “The Dreaming City” is definitely how we want a Starborn record to sound, and it was great working with Kyle Partridge, who we hope to work with again on the album. We wanted it to sound eighties, albeit with a modern twist, which is what we’re all about in these early stages. With the album I wouldn’t want to depart too much from what we’ve established on “The Dreamng City” although we’ll absolutely be aiming for a superior product. – Well, some of the other guys in the band were a bit skeptical. I honestly think it’s really cool. Prior to recording “Born By The Wind” we’d discussed art direction, and were in agreement on honouring the pulpy sci-fi/fantasy artwork from the fifties/sixties, with subtle nods to our lyrical themes added in, Luke Oram is the perfect guy for it, and his work, at least to me, totally recalls all the great work from that period, of course with that modern twist. The Trendkillers platform kind of furthers the style in my eyes, so it was pretty much instant love for me. It’s part of the series too, so I wouldn’t really expect anything else. Did Stormspell sign you based on “Born By The Wind”, or did they maybe get a chance to hear the preproduction I believe you did? – We had actually been in touch with Stormspell in the early stages of promoting “Born By The Wind”, although at the time it wasn’t the right release for them. It seems that they kept an eye on us, though. Danny got in touch with us not long after we’d posted “Triumphant Resolve”. It was kind of surreal for me, as I love what Stormspell is about, and always felt the label could be a great platform for Starborn. Again, as a fan foremost I’m massively excited about it. Reading the stuff you have posted on your Facebook-page, it’s pretty obvious that there has been a pretty big musical development within the band since the early days. As you say yourselves about “To Far Beyond Lands” which was the first song you wrote: “It certainly has the most in common with the European power metal acts we like, and originally was more in touch with something like Sonata Arctica or Labyrinth”. What has been the driving force moving from this type of songs to the more diverse expression you have today? – Oh man, when we first got together we thought we were going to sound as European as they come. That was pretty much the original plan in 2012 which was where “To Far Beyond Lands” had come from, although that song itself underwent considerable change. We added a few more riffs for a prolonged middle section, as well as a thrashier guitar approach in the verse. I guess it just all came together quite naturally. Once we started jamming with Bruce we really started to evolve as a band. We tried slowing down parts, adding heavier riffs, as well as more dynamic changes, which coupled with some more challenging new material worked out really well for us. In my own songwriting I opted for a Blind Guardian meets Fates Warning vibe, which felt natural and really worked for us, as well as throwing in elements from the more extreme sides of metal. We work from home writing in midi, before taking it to the practice room, so it’s pretty cool to watch the songs evolve. “Triumphant Resolve” for instance could have very easily sounded fairly different in its early stages, again it wasn’t until we got to the practice room and Dan added those building drum patterns, Bruce laid down the early Fates Warning style wailing, and we started to really set into the groove of the song. 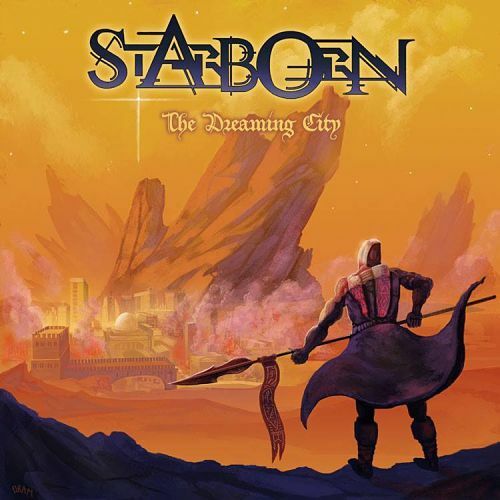 Trying to reflect a little around what put me off from checking out Starborn earlier, I guess it was probably because I had a vague feeling that this would be some kind of European power metal. As you are still using it, I guess you feel the band name is still fitting to the style you play nowadays? – Yeah definitely, originally when we decided on a name, the Iron Savior song of the same title did factor heavily, although we felt it could be interpreted in other ways. There’s the comic book character Starborn as well. The way I personally interpret it, is at face value. Born from the stars, I think about space, and it’s mysterious, awe-inspiring, bleak, and beautiful; it would be cool if people could get that vibe from our music. With some of my guitar solos I try to create a kind of sci-fi, ethereal vibe, so there’s that too. Apparently “Gatekeeper” is the most recent song from demo. I believe I can hear that, as this tune is the closest you get to a bridge between the two releases. When did this song come to life, and in what period of time were the songs on “The Dreaming City” written? – “Gatekeeper” came about a few months before we’d went in to record “Born By The Wind”, it’s funny “Triumphant Resolve” and certain parts of “The Dreaming City” are actually older songs. “Gatekeeper” definitely does a good job of bridging between the two releases, and has a similar chord progression in the chorus to “Triumphant Resolve”. As I hinted, some of the material on “The Dreaming City” predates some of that on “Born By The Wind”. I did my first draft on the title track in summer 2012, although certain parts are even older than that, coming from old guitar demos I did when I used to jam riffs with Dan. The song would go through further changes, and was truly completed shortly after we wrapped recording for “Born”. “Triumphant Resolve” was written in 2013, and the rest of the songs were written throughout the “Born By The Wind” period. My favourite song off “The Dreaming City” right now is probably “A Merciless End To Words”; I love the different tempos, the guitar melodies and the heavy chorus in this one. – Oh cool! You know, it might be my favourite too, although I do have a soft spot for “Cruelty Unchained”. Working on it was a lot of fun, the song pretty much wrote itself. There is a good few nods to my influences throughout, and that chorus idea I got from listening to Bathory. I kind of see it as “Born By The Wind’s” meaner older brother, thanks to some similar chord progressions and the triplet feel. Having had a quick glance at the lyrics, they seem to be quite diverse, both when it comes to the way they are written and the themes, but Bruce seems to prefer telling stories with his lyrics rather than get people to think and reflect? – Bruce is a professional writer, he writes for national music magazines here in the UK, and has created several pieces of short fiction which have been published on both sides of the Atlantic. I’ve read some of his fiction which is quality, and storytelling is in his blood. That is absolutely where it comes from with the lyrics. He does try to make people think with his lyrics, although we first and foremost want to paint a picture which is relevant to the music. Take “Cruelty Unchained” and “Carnival Of Shadows” for instance, Bruce spun some dark tales for these songs, and I think it really compliments those songs with their more aggressive musical approach. The title song a real epic, both when it comes to the music as well as the lyrics. Did you check if it already has been done, with the same lyrical content? How much research did Bruce do? I find it quite interesting to read the different gospels to learn about Pontius Pilate and his role in the execution of Jesus. – With “The Dreaming City” being such a long and epic number, I wanted to make sure Bruce was as passionate as possible throughout the song, we had a few ideas for the theme prior which weren’t quite working, so I felt giving Bruce free reign would ensure the finest overall product. He’s a practicing Catholic, so we figured our biggest song would be perfect for the biggest epic of all time. We looked towards Virgin Steele regarding the style and flow of lyrics, particularly around their “The Marriage Of Heaven And Hell” period, as they are a band who covers religious themes in an intelligent and non-preachy fashion. It was actually really cool to bring it all together, and I think the musical twists and turns compliment the lyrics, and vice versa. I particularly love the part of the tempter, and it’s a cool example of the music and lyrics complimenting each other in that section of the song. This entry was posted in Long Distance Runners and tagged Christopher Foley, Starborn, Stormspell, Swords and Chains by leifkringen. Bookmark the permalink.